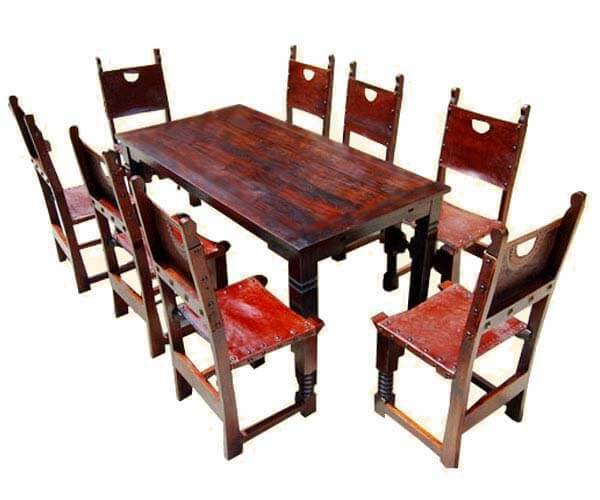 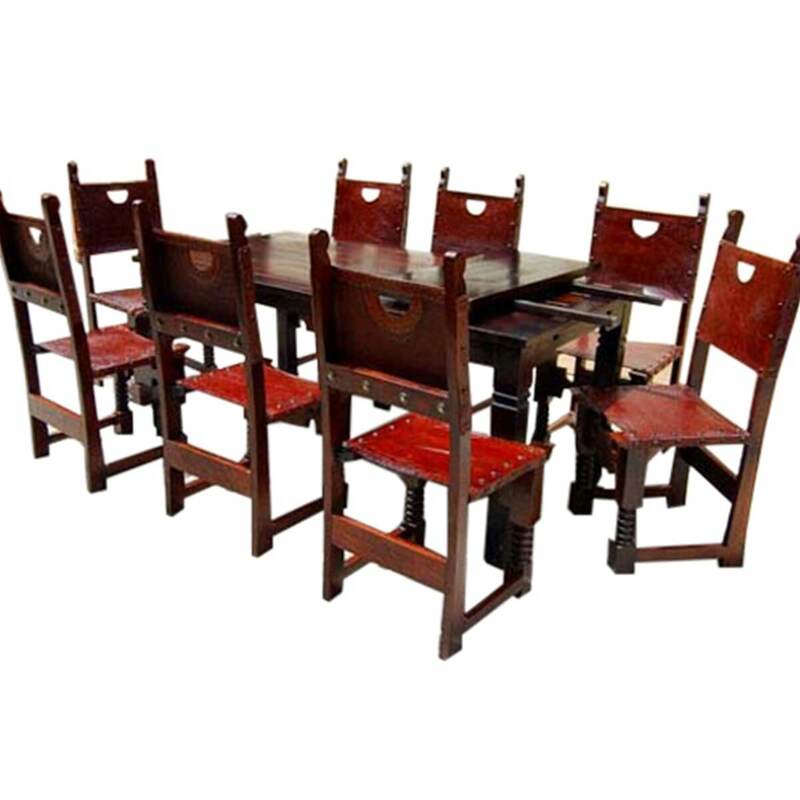 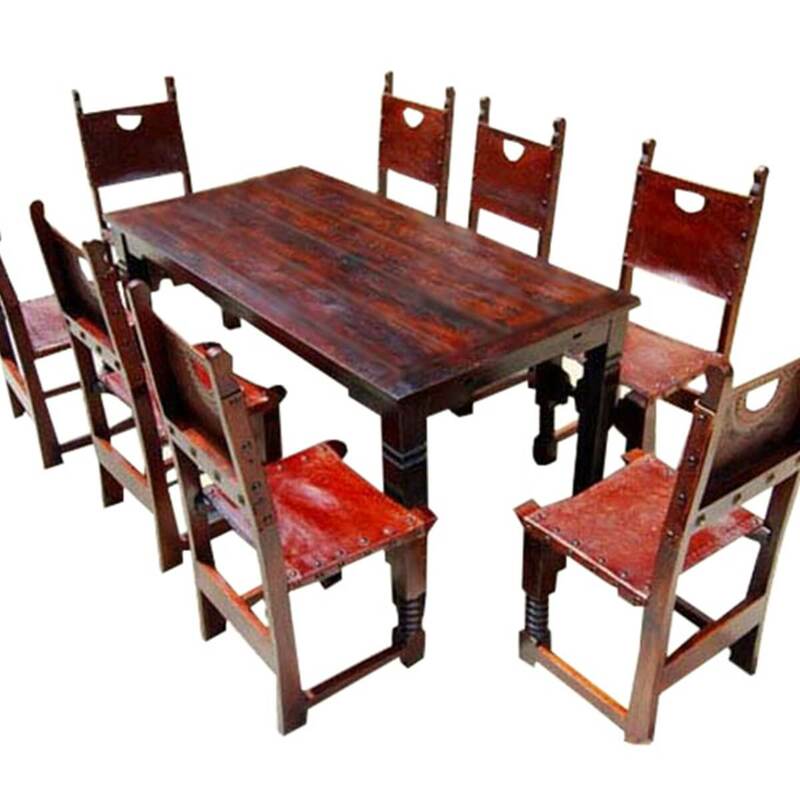 This 9 piece dining collection is crafted from Solid Solid Wood and Leather. 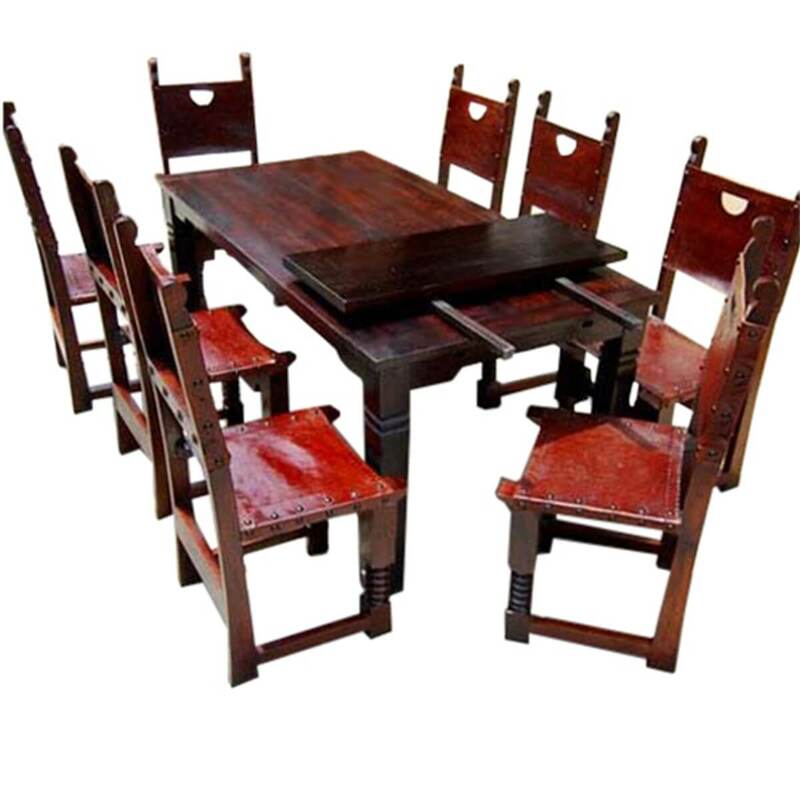 Its large size and rich finish give you a true taste of the uniqueness. 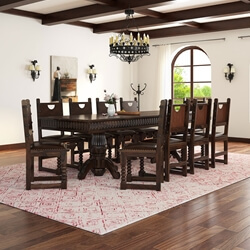 This handsome dining collection finds its appeal in any home. 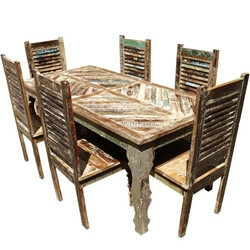 The table comes with leaves that extend the table from 71" to 101". 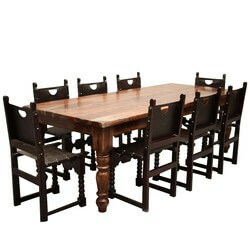 The set includes the table, 8 side chairs, and two 15" extension leaves. 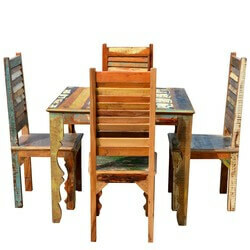 • Handmade from Solid Wood. 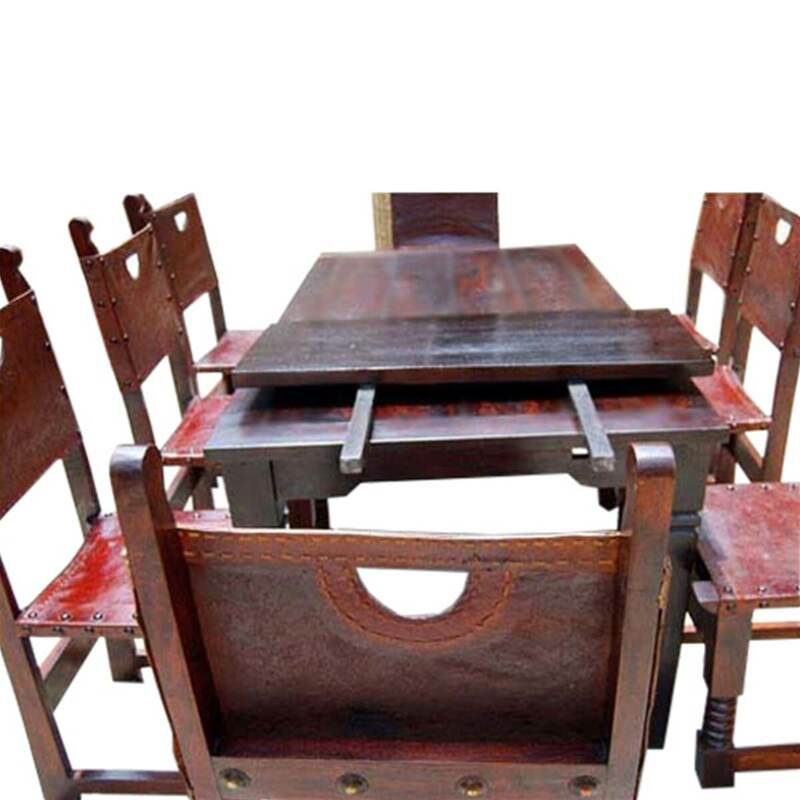 • 100% Leather work on Chair Seats.